I am an associate professor at the School of Computing, University of Eastern Finland. Since 2012 I am an adjunct professor (docent) of interactive technologies at UEF. In 2013 I was a visiting scientist at the Simon Fraser University, and 2011 I was a visiting scholar at the School of Information Sciences, University of Pittsburgh. In 2007-2010 I was an assistant professor at the University of Joensuu. I am interested in understanding and modeling of human behavior, cognition, learning, and interaction with computerized systems in general. My particular interests lie in applying eye-tracking to study and support thinking and interaction. In my PhD. work I investigated and used eye-movement recording as a measure of visual attention of computer programmers during program comprehension and debugging. I received a competitive three-years project funding from the Emil Aaltonen Foundation! Our Academy of Finland FIRST project continues conducting recordings in training and intra-operative microsurgical environments. A new project funded by the Academy of Finland on interoperative interactive technologies! TEKES funded my project on Gaze in Medical Optical Technologies! We launched a Distributed collection of eye-movement data in programming. A joint paper with SFU and U.o.Alberta got "best of CHI honorable mention" award at ACM CHI'14. Thesis topics: I supervise and offer these topics for BSc/MSc theses and special projects. My shared links and recent photos. I am co-chairing a workshop on Eye Gaze in Intelligent Human Machine Interaction at ACM ICMI'14. Our paper got "best paper honorable mention" award at ACM ETRA'12. I received a research funding from Academy of Finland and will work as a full-time researcher from January 2011 till December 2013. I was a chair of the workshop on Eye Gaze in Intelligent Human Machine Interaction at ACM ICMI'13. PPIG 2007 was in Joensuu! (conference co-organizer). September 29 - November 9, 2006, I was a visiting lecturer at the Kabarak University, Kenya. September 24 - October 14, 2005, I was a visiting researcher at the PAWS group at School of Information Sciences, University of Pittsburgh, PA, USA. - Spring 2011, Human Factors, INFSCI 1044 University of Pittsburgh. - Autumn 2002- Spring 2005: teaching in 5+ CS courses. Eivazi, S., Hafez, A., Fuhl, W., Afkari, H., Kasneci, E., Lehecka, M., Bednarik, R.: Optimal eye movement strategies: a comparison of neurosurgeons gaze patterns when using a surgical microscope. Acta Neurochirurgica, 2017. Orlov, P., Bednarik, R.: The role of extrafoveal vision in source code comprehension Perception 46(5), 2017. Orlov, P., Bednarik, R.: ScreenMasker: An open-source gaze-contingent screen masking environment. Behaviour Research Methods 48(3), 2016. Bednarik, R., Krohns, J.: User-centered design practice and adoption in smaller ICT companies in Eastern Finland: An Interview Study. International Journal of Business Information Systems, 18(3), pp. 285- 298, 2015. Myller, N., Bednarik, R., Ben-Ari, M., Sutinen, E.: Extending the Engagement Taxonomy: Software Visualization and Collaborative Learning. ACM Transactions on Computing Education, 9(1), article 7, 2009. Randolph, J. J., & Bednarik, R.: Publication bias in the computer science education literature. Journal of Universal Computer Science, 14(4), 2008, pp. 575-589. Randolph, J. J., Rogers, P. C., Kakkonen, T., Myller, N., & Bednarik, R.: Emerging technologies for educational evaluation. In M. Ortiz & C. Rubio (Eds.) Educational Evaluation: 21st Century Issues and Challenges. Hauppauge, NY: Nova, 2009, pp. 417-442. Randolph, J.J., Julnes, G., Bednarik, R., & Sutinen, E.: A comparison of the methodological quality of articles in computer science education journals and conference proceedings. Computer Science Education, 17(4), 2007, pp. 263-274. Bednarik, R., Randolph, J.: Studying Cognitive Processes in Computer Program Comprehension. In Hammoud, R. I. (Ed): Passive Eye Monitoring: Algorithms, Applications and Experiments, Springer, ISBN 9783540754114, pp. 373-386, 2008. Bednarik, R., Moreno, A., Myller, N.: Various Utilizations of an Open-Source Program Visualization Tool, Jeliot 3. Informatics in Education 5(2), 2006, pp. 195-206. Bednarik, R., Myller, N., Sutinen, E., Tukiainen, M.: Analyzing Individual Differences in Program Comprehension. Technology, Instruction, Cognition and Learning (TICL), 3 (3-4), special issue on modeling and simulation, 2006, pp. 205-232. Huang, H.-H., Bednarik, R., Jokinen, K., Nakano, Y.: Gaze-in 2014: the 7th Workshop on Eye Gaze in Intelligent Human Machine Interaction. In Proceedings of the 16th International Conference on Multimodal Interaction (ICMI '14). ACM, New York, NY, USA, 527-528. Bednarik, R., Huang, H.-H., Nakano, Y., Jokinen, K.: GazeIn'13 -The 6th Workshop on Eye Gaze in Intelligent Human Machine Interaction. http://dx.doi.org/10.1145/2522848.2535892, 2013, ACM. Bednarik, R.: Computer Science Days 2010, the proceedings of the conference Tietojenkasittelytieteen paivat 2010, in Publications of the University of Eastern Finland. Reports and Studies in Forestry and Natural Sciences, vol 2, 2010. ISBN 978-952-61-0130-9. Buckley, J., Rooksby, J., Bednarik, R.: Proceedings of the 20th Annual Workshop of the Psychology of Programming Interest Group (PPIG08). Lancaster, UK, 2008. Lancaster University, ISBN 978-1-86220-215-3. Sajaniemi, J., Tukiainen, M., Bednarik, R., Nevalainen, S.: Proceedings of the 19th Annual Workshop of the Psychology of Programming Interest Group (PPIG07). Joensuu, Finland, July, 2007. International Proceedings Series 7, University of Joensuu, Department of Computer Science and Statistics. Bednarik, R., Budde, L., Heinemann, B., Schulte, C., Vrzakova, H.: Eye-movement Modeling Examples in Source Code Comprehension: A Classroom Study. To appear in Koli Calling, 2018. ACM. Bednarik, R., Bartczak, P., Vrzakova, H., Elomaa, A-P., Koskinen, J., et al. : Pupil size as an indicator to visual-motor workload and expertise in microsurgical training tasks. In Proceedings of the 2018 ACM Symposium on Eye Tracking Research & Applications (p. 60). ACM. Orlov, P., Bednarik, R., Orlova, L.: Programmers' experiences with working in the restricted-view mode as indications of parafoveal processing differences In Proceedings of PPIG 2016. Quang, D. N., Vrzakova, H., Bednarik, R.: WTP: Web-Tracking Plugin for Real-time Automatic AOI Annotations In Proceedings of PETMEI 2016. Malmi, L., Sheard, J., Simon, Bednarik, R., et al. : Theoretical Underpinnings of Computing Education Research ? What is the Evidence? Accepted to ACM ICER 2014. Jiang, X., Atkins, M. S., Tien, G., Bednarik, R., and Zheng, B.: Pupil Responses during Discrete Goal-directed Movements. In Proceedings of the 32nd annual ACM conference on Human factors in computing systems (CHI '14). ACM, New York, NY, USA, 2075-2084. http://dx.doi.org/10.1145/2556288.2557086. Best of CHI honorable mention. Bednarik, R., Kauppinen, M.: Unravelling the Interaction Strategies and Gaze in Collaborative Learning with Online Video Lectures. In proceedings of GazeIn'13 -The 6th Workshop on Eye Gaze in Intelligent Human Machine Interaction, http://dx.doi.org/10.1145/2535948.2535959, ACM, 20013. Mäkelä, S., Bednarik, R., Tukiainen, M.: Evaluating User Experience of Autistic Children through Video Observation. To appear in the proceedings of ACM CHI'13, 2013. Erkut, C., Bednarik, R., M‰kel‰, S., Kleimola, J.: Apps for Me, Too: Gaze and Natural Interaction Applications for Varying Cognitive Strengths on a Multi-touch Table Network To appear in the proceedings of the Gaze Interaction in the Post-WIMP World Workshop, CHI'13, 2013. Vrzakova, H., Bednarik, R.: Fast and Comprehensive Extension to Intention Prediction from Gaze In the proceedings of IUI2013 Second Workshop on Interacting with Smart Objects, 2013. PDF. Bednarik, R., Orlov, P.: Investigating the role of programmers' peripheral vision: a gaze-contingent tool and an experiment proposal. In the proceedings of Psychology of Programming Interest Group PPIG 2012. PDF. Bednarik, R., Vrzakova, H., Hradis, M.: What you want to do next: A novel approach for intent prediction in gaze-based interaction. In proceedings of ETRA'12, pp. 83-90. http://dx.doi.org/10.11 45/2168556.2168569 Best paper honorable mention. Pietinen, S., Bednarik, R. and Tukiainen, M.: Eye-tracking in Collaborative settings: Setup and Descriptive analysis. The 5th Scandinavian Workshop on Applied Eye-Tracking, SWAET 2010, Lund University, May 5-7 2010, p. 38. Pietinen, S., Bednarik, R., Tukiainen, M.: Shared Visual Attention in Collaborative Programming: A Descriptive Analysis. ACM/IEEE 32nd International Conference on Software Engineering, ICSE 2010, Cooperative and Human Aspects of Software Engineering, CHASE 2010, Workshop at the ICSE 2010, May 2nd 2010, Cape Town, South Africa. Kinnunen, T., Sedlak, F., Bednarik, R.: Towards Task-Independent Person Authentication Using Eye Movement Signals. In the Proceedings of the 2010 Symposium on Eye-Tracking Research & Applications, ETRA'10, ACM, pp. 187-190. Duveskog, M., Bednarik, R., Sutinen, R., Kemppainen, K.: Designing a Story-Based Platform for HIV/AIDS Counseling with Tanzanian Children. In Proceedings of the 8th ACM International Conference on Interaction Design and Children, pp. 27-35, 2009. Gowases, T., Bednarik, R., Tukiainen, M.: Gaze vs. Mouse in Games: The Effects on User Experience. In Proceedings of The 16th International Conference on Computers in Education, ICCE 2008, pp. 773 - 777. Nuutinen, J., Bednarik, R., Sutinen, E.: A Layered Approach to the Development Process of Social Mindtools. In Proceedings of ED-Media 2008, pp. 2109-2118. Bednarik, R., Tukiainen, M.: Temporal Eye-Tracking Data: Evolution of Debugging Strategies with Multiple Representations. In Proceedings of the 2008 Symposium on Eye Tracking Research & Applications (Savannah, Georgia, March 26 - 28, 2008). ETRA '08. ACM, New York, NY, pp. 99-102. Pietinen, S., Bednarik, R., Glotova, T., Tenhunen, V., Tukiainen M.: A Method to Study Visual Attention Aspects of Collaboration: Eye-Tracking Pair Programmers Simultaneously. In Proceedings of the 2008 Symposium on Eye Tracking Research & Applications (Savannah, Georgia, March 26 - 28, 2008). ETRA '08. ACM, New York, NY, pp. 39-42. Moreno, A., Sutinen, E., Bednarik, R. and Myller, N. (2007): Conflictive animations as engaging learning tools. In Proc. Seventh Baltic Sea Conference on Computing Education Research (Koli Calling 2007), Koli National Park, Finland. CRPIT, 88. Lister, R. and Simon, Eds., ACS. pp. 203-206. Bednarik, R., Tukiainen, M.: Analysing and Interpreting Quantitative Eye-Tracking Data in Studies of Programming: Phases of Debugging with Multiple Representations. In Proceedings of the 19th Annual Workshop of the Psychology of Programming Interest Group (PPIG'07), Joensuu, Finland, July 2-6, 2007, pp. 158-172. Myller, N., Bednarik, R., Moreno, A.: Integrating Dynamic Program Visualization into BlueJ: the Jeliot 3 extension. In proceedings of IEEE ICALT 2007, IEEE Computer Society, 2007, pp. 505-506. Moreno, A., Bednarik, R., Yudelson, M.: How to Adapt the Visualization of Programs? UM'2007 workshop 2, 11th International Conference on User Modeling: Personalisation in e-learning environments at individual and group level, PING'07. Corfu, Greece, June 25-29, 2007, pp. 65-70. Bednarik, R., Kamppuri, M., Tedre, M., Vesisenaho, M.: Alternative to Technology-Driven Development: An Approach Based on Authentic Needs. Presented at the Workshop on User Centred Design and International Development to be held on 28th April 2007, CHI2007. Kamppuri, M., Bednarik, R., Tukiainen, M.: The Expanding Focus of Design: Case Culture. In proceedings of NordiCHI 2006, The Fourth Nordic Conference on Human-Computer Interaction. Oslo, Norway, 2006, ACM Press, pp. 405-408. Bednarik, R., Myller, N., Sutinen, E., Tukiainen, M.: Program Visualisation: Comparing Eye-tracking Patterns with Comprehension Summaries and Performance. In proceedings of the 18th Annual Workshop of the Psychology of Programming Interest Group (PPIG'06), Brighton, UK, September 7-8, 2006, pp. 68-82. Myller, N., Bednarik, R.: Methodologies for Studies of Program Visualization. In proceedings of Methods, Materials and Tools for Programming Education (MMT2006), Tampere, Finland, May 4-5, 2006, pp. 37-42. Bednarik, R., Tukiainen, M.: An Eye-tracking Methodology for Characterizing Program Comprehension. In Proceedings the 2006 Symposium on Eye Tracking Research and Applications, ETRA 2006, March 27-29, San Diego, CA, USA, ACM Press, pp. 125 - 132. Randolph, J. J., Bednarik, R. and Myller, N.: A Methodological Review of the Articles Published in the Proceedings of Koli Calling 2001-2004. In Proceedings of Koli Calling 2005: 5th Annual Finnish / Baltic Sea Conference on Computer Science Education. November 17 - November 20, 2005, pp. 103-109. Moreno, A., Myller, N. and Bednarik, R.: Jeliot 3, an Extensible Tool for Program Visualization. In Proceedings of Koli Calling 2005: 5th Annual Finnish / Baltic Sea Conference on Computer Science Education. November 17 - November 20, 2005, pp. 183-184. Bednarik, R., Joy, M., Moreno, A., Myller, N., Sun, S., Sutinen, E.: Multi-Agent Educational System for Program Visualization. In proceedings of the International Conference on Intelligent Agents, Web Technology and Internet Commerce (IAWTIC'2005), 28 - 30 November 2005, Vienna, Austria, IEEE Computer Society, pp. 283 - 288. Bednarik, R., Myller, N., Sutinen, E., Tukiainen, M.: Applying Eye-Movement Tracking to Program Visualization. In proceedings of 2005 IEEE Symposium on Visual Languages and Human-Centric Computing (VL/HCC'05), Dallas, Texas, USA, September 21-24, 2005, IEEE Computer Society, pp. 302-304. Bednarik, R.: Potentials of Eye-Movement Tracking in Adaptive Systems. In the Proceedings of the Fourth Workshop on the Evaluation of Adaptive Systems, held in conjunction with the 10th International Conference on User Modeling (UM'05), Edinburgh, UK, July 24th to 30th, 2005, pp. 1-8. Bednarik, R., Myller, N., Sutinen, E., Tukiainen, M.: Effects of Experience on Gaze Behaviour during Program Animation. In proceedings of the 17th Annual Psychology of Programming Interest Group Workshop (PPIG'05), Brighton, UK, June 28 - July 1, 2005, pp. 49-61. Randolph, J. J., Bednarik, R., Silander, P., Gonzalez, J., Myller, N., and Sutinen, E.: A Critical Analysis of the Research Methodologies Reported in the Full Papers of the Proceedings of ICALT 2004. In proceedings of the 5th IEEE International Conference on Advanced Learning Technologies (ICALT 2005), Kaohsiung, Taiwan, July 5-8, 2005, IEEE Computer Society, pp. 10-14. Bednarik, R., Moreno, A., Myller, N., Sutinen, E.: Smart Program Visualization Technologies: Planning a Next Step. In proceedings of the 5th IEEE International Conference on Advanced Learning Technologies (ICALT 2005), Kaohsiung, Taiwan, July 5-8, 2005, IEEE Computer Society, pp. 717-721. Bednarik, R., Kinnunen, T., Mihaila, A., Fr‰nti, P.: Eye-Movements as a Biometric. In Proceedings of the 14th Scandinavian Conference on Image Analysis, SCIA 2005, Joensuu, Finland, June 19-22, 2005. Lecture Notes in Computer Science, Vol. 3540, Springer, 2005, pp. 780-789. Bednarik, R., Tukiainen, M.: Effects of Display Blurring on the Behavior of Novices and Experts during Program Debugging. In CHI '05 extended abstracts on Human factors in computing systems, CHI 2005, Portland, Oregon, USA, April 2-7, 2005, ACM Press, pp. 1204-1207. Bednarik, R., Tukiainen, M.: Visual Attention Tracking During Program Debugging. In Proceedings of NordiCHI 2004, The Third Nordic Conference on Human-Computer Interaction, October 23-27, 2004, Tampere, Finland, ACM Press, pp. 331-334. Bednarik, R. & Tukiainen, M.: Visual Attention and Representation Switching in Java Program Debugging: A Study Using Eye Movement Tracking. In Proceedings of 16th Annual Psychology of Programming Interest Group Workshop (PPIG'04), Institute of Technology Carlow, Ireland, April 5-7, 2004, pp. 159-169. Bednarik, R., Fr‰nti, P.: Survival of Students with Different Learning Preferences. The 4th Annual Finnish / Baltic Sea Conference on Computer Science Education, Koli, Finland, October 1-3, 2004, pp. 121-125. Bednarik, R., Gerdt, P., Miraftabi, R., Tukiainen, M.: Development of the TUP Model - Evaluating Educational Software. In Proceedings of the 4th IEEE International Conference on Advanced Learning Technologies (ICALT 2004), Joensuu, Finland, August 30 - September 1, 2004, IEEE Computer Society, pp. 699-701. 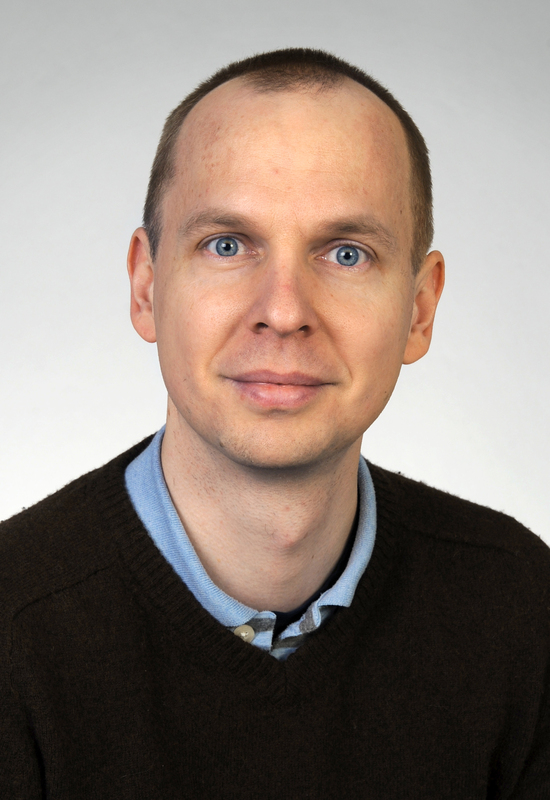 Bednarik, R.: Problem-Based Learning in Teaching Theoretical Computer Science. In Proceedings of the International Conference on Engineering Education and Research Conference iCEER 2004, Olomouc, Czech Republic, June 27-30, 2004, pp. 801-807, CD-ROM. Bednarik, R., Marjomaa E., La Russa, G.: Logical Variability in Tutors and Evaluators. In Proceedings of the ITK'04 Workshop on Educational Technology Research, April 20-22, H‰meenlinna, Finland, 2005. pp. 48-49. Tsukuda, M., Bednarik, R., Hauta-Kasari, M., Nakauchi, S.: Static cues for mirror-glass discrimination explored by gaze distribution. In European Conference on Visual Perception, ECVP 2016. Bednarik, R., Kinnunnen, T., Eivazi, S., Sedlak, F., & Vrzakova, H.: Beyond AOIs: Classification and prediction methods in gaze data analysis in biometrics, problem solving, and interaction.. ECEM 2011. Kamppuri, M., Bednarik, R. and Juntunen, A.: Haasteena k‰ytett‰vyys: Kotihoitoa tukevat et‰palvelut-hankkeen k‰ytett‰vyystutkimus. [in Finnish, Usability as a challenge. Usability study of eHealth Services Supporting Home Care - project]. Kajaani University of Applied Sciences reports B, Raportteja ja selvityksi‰ 11, 2008, ss. 39, ISBN 978-952-9853-6, ISSN 1458-915X. Bednarik, R., Jansen, A.: Eye-tracking and its applications in studies of programming. In Proceedings of the 19th Annual Workshop of the Psychology of Programming Interest Group (PPIG'07), Joensuu, Finland, July 2-6, 2007, pp. 255. Bednarik, R.: Towards an Eye-tracking Methodology for Studies of Programming. PhLic thesis, Department of Computer Science, University of Joensuu, 2006.